Let’s start with wishing you all the best for 2014! We hope 2014 is going to be even better than 2013, which was already a great year for us! 2013 was the 1st full year of EMDutch and we hope we can improve the site in the following years. 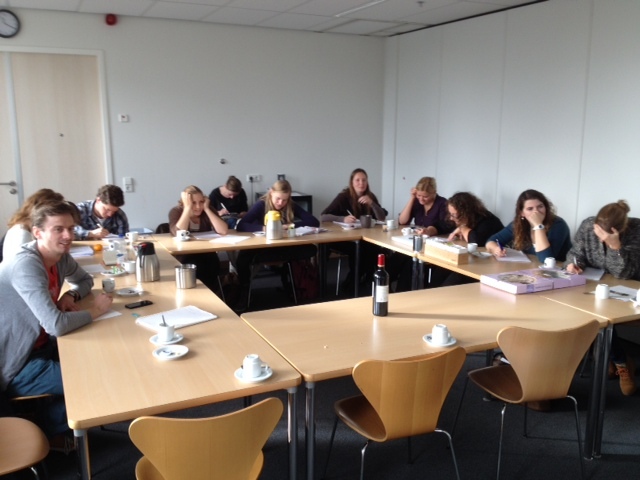 And now the 1st EMDutch Review of 2014! An article in the december 2013 issue of the NEJM compared normothermia vs hypothermia for unconscious survivers of out-of-hospital arrest. Their conclusion: In unconscious survivors of out-of-hospital cardiac arrest of presumed cardiac cause, hypothermia at a targeted temperature of 33°C did not confer a benefit as compared with a targeted temperature of 36°C. It is probably enough to prevent fever! EMLitofNote: The Latest Myth: Contrast-Induced Nephropathy? Here’s the simple explanation for why none of our observed treatments to prevent contrast-induced nephropathy – acetylcysteine, hydration, sodium bicarbonate – reliably work: CIN is a myth. Today a short post about PAIN. I recently had a discussion on Twitter about PAIN and pain scores and was interested how you feel about the subject. So please answer the poll below. 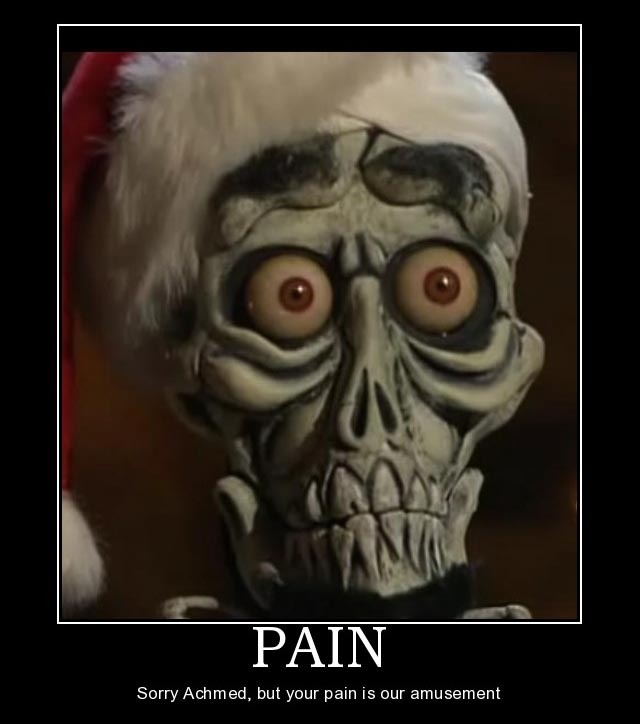 I was always taught that PAIN is the 5th vital sign, next to heart rate, blood pressure, respiratory rate and temperature….and I was always skeptical about this! Why, you ask? Well, to start with, the others are all objective measures and PAIN is surely not. And if it is a vital sign, it should be 6th behind saturation, which is an important and objective (vital) sign. But the real reason I am skeptical about the pain score is that patients tend to exaggerate to get treated first. Like @CinicalArts wrote on Twitter: “Patients believe that the more they exaggerate pain, the more attention they need. Terrifying sick role implications”. You all have seen the patient with a broken finger, who looks fine and has a pain score 9/10. At the same time the patient next to him with a complicated, open ankle fracture will tell you his pain score is 4/10. After the “Halloween” Review we now have a normal EMDutch Review from the months October and November. If you feel you don’t have time to look at everything I would advice you to take a look at the presentation from H. Gilbert Welch about over diagnosing. A must see for all doctors out there!!! Share this with your colleagues! Who doesn’t love epidemiology ☺? Well……If you do are here some great videos about sensitivity, specificity and all the other things you just love! It’s not as hard at it seems! Just take a look at this picture. Here you see some of my own residents doing epidemiology…..You can see they just love it ☺ ! What does a fat pad sign mean (in children)? A 7 year old girl is presented at the accident and emergency department after a fall during gymnastic exercises. She fell down from an apparatus with outstretched arms and now complains of a painful left elbow. Her left elbow is painful and swollen. She is unable to bend or stretch it. 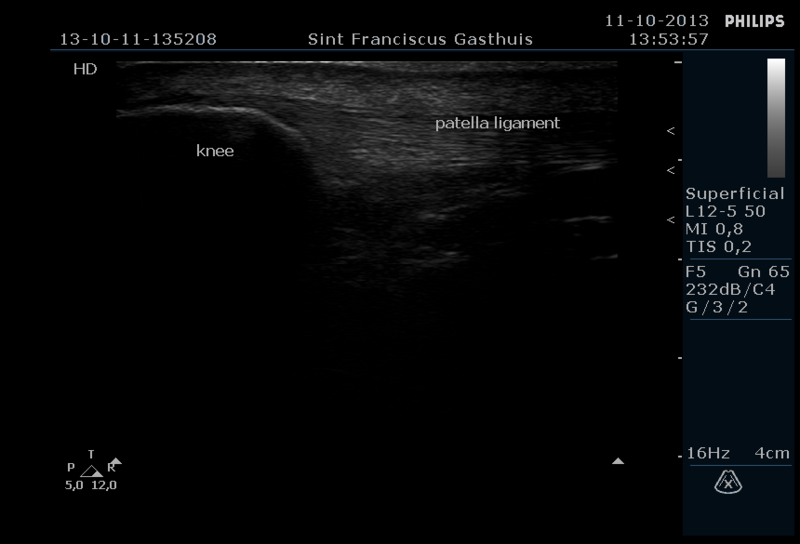 On X-ray no fractures were seen but the ventral en dorsal fat pad sign were positive. Is there an occult fracture? 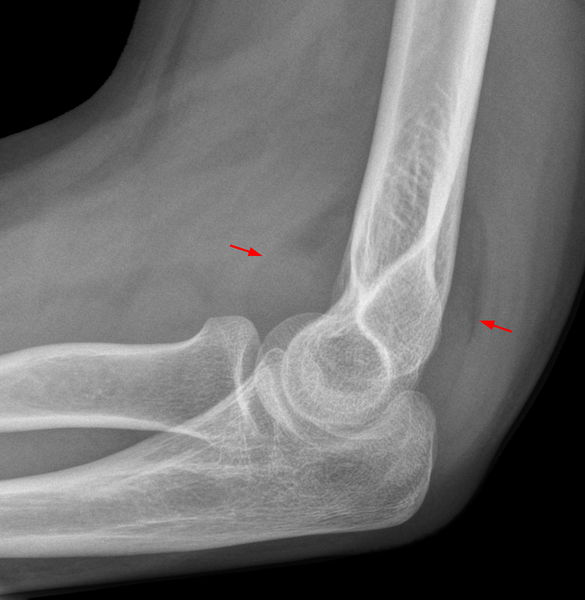 A fat pad sign is seen on a lateral elbow x-ray and is caused by the displacement of fat by fluid usually caused with trauma but can be caused by infection and malignancies. 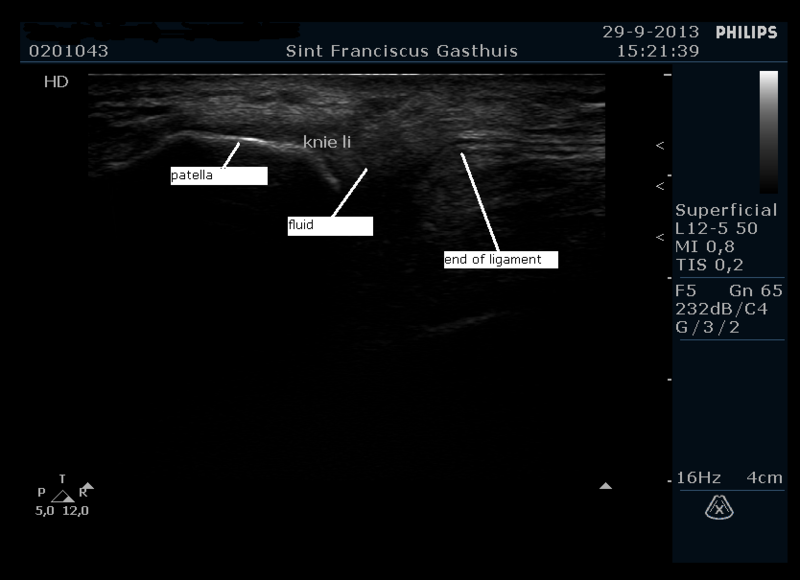 According to the literature there is no consensus on the percentage of fractures with a positive fat pad sign it varies considerably between 17-89%. 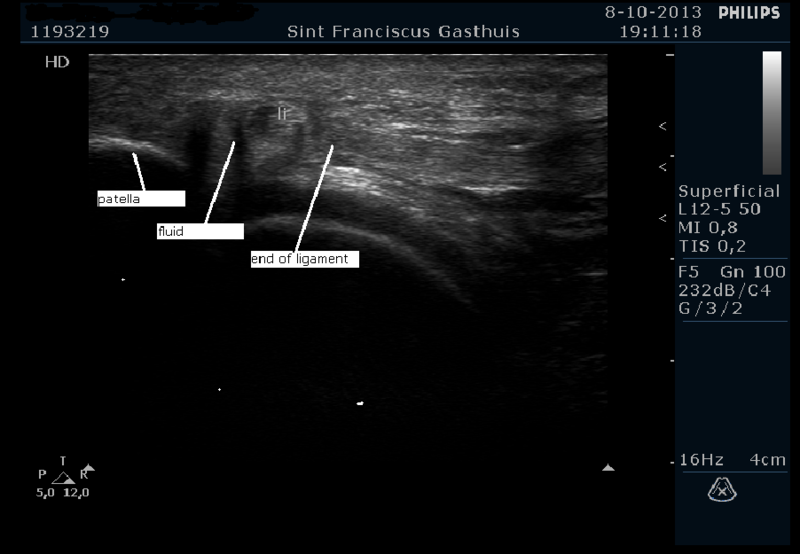 A literature search was conducted in the databases of PUBMED and TRIP using combined search terms for elbow and fat pad. The search yielded a total of 95 articles after deleting the doubled articles 56 articles were left of these the title and abstract were read and after exclusion for review articles animal studies and articles in other languages than English, Dutch, German or French. Articles were appraised selecting for validity. Studies were included if they included children and compared x-ray to another diagnostic modality like MRI or ultrasonography.